​The Founding Fathers never intended for so much power to be in one set of hands such as one Man or Woman to make decisions for the People in this Nation. 1. We know that James Madison was challenged by George Mason in the Convention and then joined by others who would not sign the Constitution without a Bill of Rights to protect the people from the three Branches of Government, and there was very good reasoning for this, which I will explain later. 2. What then, is meant by the word Judges? The question is defined At Article 3, Section 1 It says "The Judicial (Plural) Power of the United States". This does not mean one set of Hands! 3. "shall be vested in one (singular) supreme Court". More than one set of hands. 5. The Founders then described what Jurisdiction is to be used in cases involving the People at Article 3, Section 2, Clause 1. "The judicial (plural) Power shall extend to all cases, in Law (Common Law)(Peoples Law) and Equity, (contract Law). Again notice the word judicial is plural not singular. I will explain this more clearly later. 6. Then Article 3, Section 2, Clause 3: "The trial of all Crimes... shall be by Jury." Here it did not say Judge, before a Judge or Judicial. It said Jury, which consists of 12 of the People! notwithstanding," Clause 3: "The Senators and Representatives before mentioned, and the Members of the State Legislatures, (all States) and all (all inclusive in all three Branches) Executive and Judicial Officers (plural) both of the United States and of the several States shall be bound by Oath or Affirmation, to support this Constitution;..."
8. The 5th Article (Amendment) in the Bill of Rights states: "No person shall be held to answer for a capital or otherwise infamous crime, unless on a presentment or indictment of a Grand Jury,..." Notice here that this is the power of the People and is not delegated to the Judiciary nor their private dues paying B.A.R. Membership! They have no power, control or involvement in it!!! It is the Peoples Grand Jury under Common Law! 9. The 7th Article of Amendment states as follows: In suits at common law, where the value in controversy shall exceed twenty dollars, the right of trial by jury (12 People) shall be preserved, and no fact tried by a jury shall be otherwise re-examined in any Court of the United States, than according to the rules of the common law." See U.S. v. Williams 113 S.Ct. 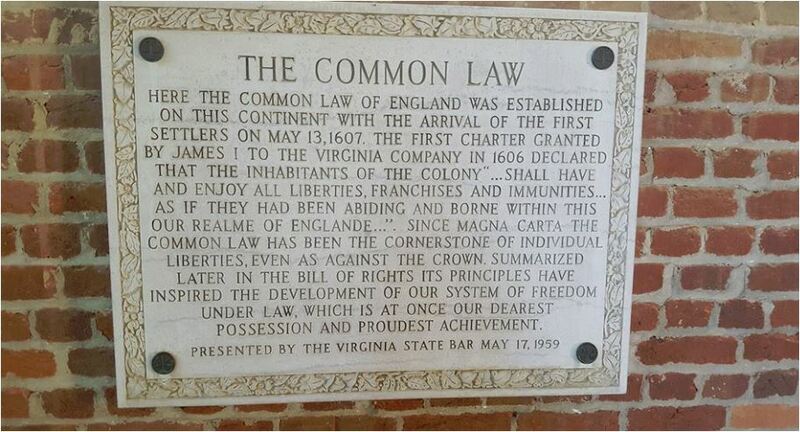 1735 504 U.S. 36 118 L.Ed 2d 352 ---and ----Magna Carta at 61. Trials are to be by Juries and NOT BY JUDGES. And under Common Law Court of Record.